Plastic wallet, with a wraparound insert. 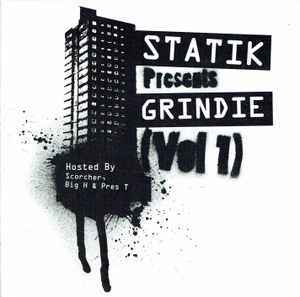 Title on disc: "Statik Presents Grindie Volume.1". Tracks 1 & 2 are uncredited. Tracks 12 & 64 are untitled. Tracks 44 & 45 erroneously credit La Belle Et La Bete and list the title as Babyshambles.